The long wait is now over!! 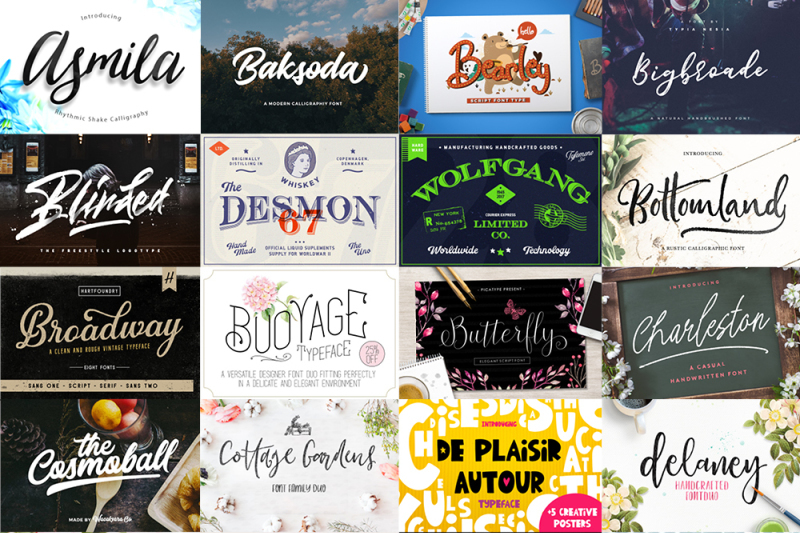 Our latest Jumbo July Bundle is a huge collection of 51 high quality fonts and 11 artsy graphics packs (over 540 elements & patterns), all for the price of one!! 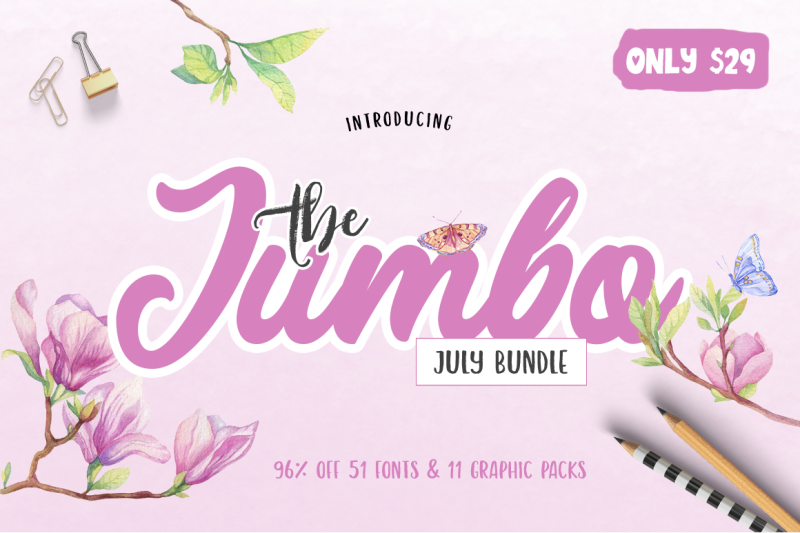 Get this jumbo pack for ONLY $29 for a limited time only, that's 96% OFF the regular price!